A Perthshire whisky shop has been left counting the cost after a second break-in within a month. Several bottles of rare whiskies and casks - worth an estimated £10,000 - were stolen during the raid, which happened between 2.45am and 3.30am on Friday at J.L. 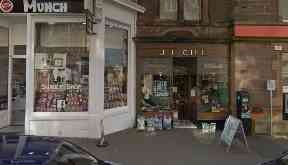 Gill Whisky Shop in Crieff's West High Street. Police believe those who were responsible had done their research as only high-value items were taken. Products pinched included a 30-year-old Macallan sherry oak scotch whisky, Macallan rare red and black casks, a 25-year-old quarter cask of Glenfarclas, 21-year-old Oban and Glengoyne whiskies, and a 12-year-old Elijah Craig bourbon among many other items. A quantity of cigarettes was also stolen during the theft. Earlier on in January, the shop reported a break-in over the festive season in which two bottles of 30-year-old Macallan were taken. Although the Macallan 30-year-old can be found selling for £5000 to £10,000 online, it was not being sold at such a price in the shop where it was priced at the recommended figure of around £2500. A Police Scotland spokesperson said: "Some of these whiskies are exceedingly rare, and consequently very valuable. "Lower value items were left behind, so it appears that those responsible knew what they were looking for. If you have any information that could help the police investigation, call 101 or Crimestoppers anonymously on 0800 555 111.